PHONE OR DIRECT EMAIL FOR BEST PRICE OPTIONS AND RATES. Mana-Nui Motel accommodation, Whitianga, Mercury Bay, Coromandel Peninsula, NZ. 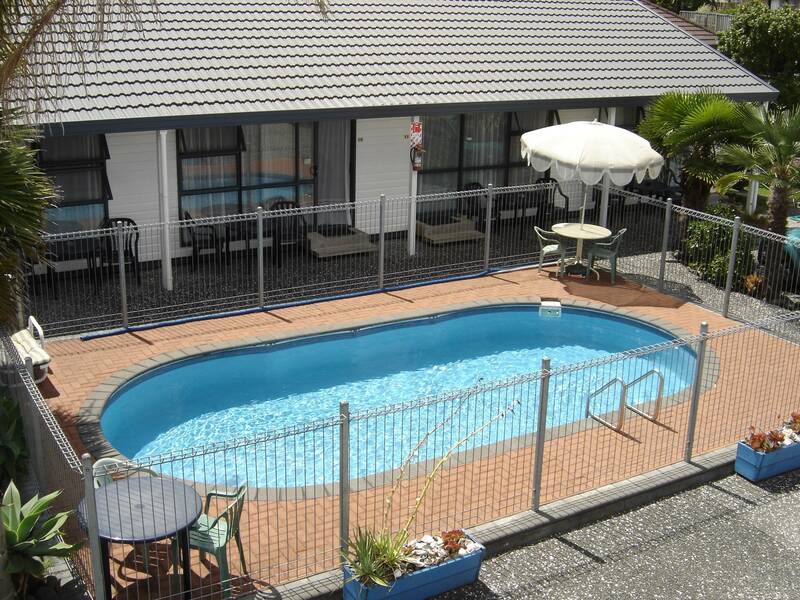 Central location set in the heart of the beautiful seaside town of Whitianga. 12 ground-floor units offering a clean and comfortable stay, made up of 5 family and 7 studio units to cater for most guest stay combinations. Swimming pool, covered spa pool, BBQ, Large Flat screen LCD LED TVs, Channels 1, 2, 3 and 5-channel Sky TV and wireless is available for those who need to stay in contact with family and friends. Most standard motel items / facilities available. Family environment, closest motel to shopping centre. Short flat walk to restaurants, cafes, shops, beach, wharf, marina, museum and bowling green. Ample parking with boat wash area and fish cleaning bay. Come and stay at the Mana-Nui Motel and enjoy all of the activities like boating, diving, fishing, tramping, beachcombing, to name but a few,in and around the beautiful area known as Mercury Bay. Some of the most beautiful beachs like New Chums, Kuoatunu, Rings Beach, Hahei, Cathedral Cove and many more are all within easy driving from our centally located motel. Mervyn and Joanne Trebes warmly welcome you and extend their hospitality during your stay at their owner-operated motel..